The objective of a good nursery program is to create a warm, healthy and happy environment where small children can grow and develop emotionally, cognitively and physically. At Chabad Early Learning Center we strive to do this in a most professional and caring manner. In early childhood, the seeds of learning, curiosity and kindness are planted. Our program spans a period of intense personal, social and academic growth. Young children develop at different paces. Our teachers are sensitive to the wide range of abilities and developmental levels within this age group. They offer creative activities that fit into the broad developmental continuum represented by the students. Each classroom has teachers who guide the children and promote active learning, problem-solving, discovery of friendship and exploration of their new, expanded learning world. The classroom is a community in which Jewish values are modeled and reinforced and Hebrew language is introduced through songs, games, and simple conversation. The curriculum combines structured and unstructured activities that encourage young children's most important work-creative play. Every day is filled with art, music, stories, language, and hands-on exploration. Our classrooms are all well-outfitted with state-of-the-art preschool furnishings. We have our own ergonomically designed playground and special outdoor equipment. 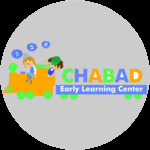 Our school is an affiliate of the international Chabad Lubavitch movement that is dedicated to spreading the wonders and rewards of Judaism throughout the globe in a nonjudgmental and inclusive manner. Chabad today, is the largest and most dynamic unified religious, educational and social force in the Jewish world. The movement boasts more than three thousand branches in nearly fifty countries on six continents. Nearly a million Jewish children are touched via our schools, institutions, summer camps and extra curricular programs around the world each year. Our centers everywhere serve the needs of all Jews, no matter their level of knowledge, observance or affiliation.